It is a wonder that more technology isn't used in schools, especially considering that most people and businesses cannot function without the use of a computer. 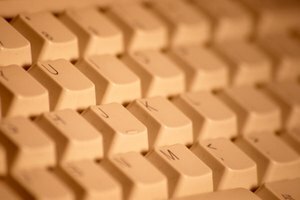 Having more computers in schools could improve the level of instruction and address many of the problems in schools. The real pros and cons of using technology in the classroom create a stalemate that can prevent technology from being used more widely in the classroom. Pros: Computers allow students to learn through exploring the internet and doing research. The act of looking up information and researching papers with such an extensive resource can keep students engaged in a project and learning far longer than they would with a set of encyclopedias. Cons: Some students will explore beyond the bounds and parameters of the project and become distracted by other activities that they find on the internet. Pros: By incorporating technology into lessons, students will become more engaged in and excited about the subject at hand. Lessons that would normally be tedious for many, such as social studies, can be much more engaging with virtual field trips and streaming video. Cons: Finding the right materials online to integrate into a lesson is not always easy. This means teachers may spend a lot more time planning lessons and become overwhelmed and frustrated. Pros: In special needs classrooms, each student is able to go at his or her own pace with the help of technology. This allows the students get individual instruction directly from the computer, which allows the teacher to accomplish more while feeling less stretched. Special needs students who are handicapped can also make use of assistive technology, which can allow them to communicate better. Cons: Special needs technology can be very expensive and take an inordinate amount of money to acquire and operate. Pros: Schools can secure grants to help pay for for technology in the classroom. Cons: Technology in general is expensive. Schools with minimal technology resources can spend hundreds of thousands of dollars a year. Classroom technology, especially laptops for individual student use, must be replaced every two to three years. Tech staff is required for a school with technology in the classroom. The more computers the school uses, the more people will be needed to keep the technology running. 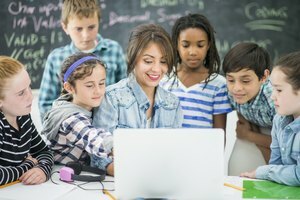 Pros: Training required for teachers and students using technology in the classroom will keep the users computer literate and allow both teachers and students to use their training in part-time jobs and future careers. Cons: Training to use computers in the classroom can be costly and time-consuming. Many teachers are unwilling to participate in the extra training. Pros: Technology in the classroom is not just for students. Teachers can use the technology to keep student records, plan lessons and communicate with parents. Hermitt, Andrea. "Pros and Cons Technology in the Classroom." Synonym, https://classroom.synonym.com/pros-cons-technology-classroom-5384898.html. Accessed 19 April 2019.